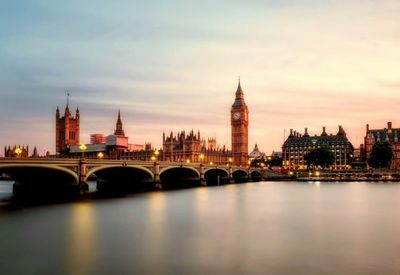 London is one of the great cities of the world, with royal palaces, museums and a myriad of other instantly recognisable buildings. With a history stretching back over two millennia, there is much for a visitor to explore. If you’re unsure of where to stay to make the most of your trip, remember that you’ll be able to flit across the city with the help of the tube and other public transport options. To get you started on your voyage of discovery in London, this itinerary has some suggestions as to the best places to visit. Much of London has had royal connections at one stage or another, so from palaces and castles to royal parks, there is much to see. Buckingham Palace is the main home of the British royal family and almost certainly, one of the most familiar buildings in the capital. You can now visit some of the opulent staterooms and other parts of the building. Try to time your visit with the Changing of the Guard, for an extra slice of British tradition. You can tour Kensington Palace, the childhood home of Queen Victoria, before exploring the Tower of London, which houses the British Crown Jewels and was where many a royal prisoner once languished. Turn the clock back and explore the 16th century world of Henry VIII, the mightiest of all Tudor monarchs, at Hampton Court Palace. Tower Bridge over the River Thames, a superb example of Victorian engineering, is another of the capital’s best loved monuments. With interactive displays telling the story of the bridge, its glass platform and high-level walkway will give you panoramic views over the city. London has many museums and galleries to choose from. Many people’s favourite is the British Museum, with its vast collection of art and artifacts, including everything from Egyptian mummies to Rodin statues. With a special interactive gallery, kids of all ages will love the Science Museum, while the stately Victoria and Albert Museum pays homage to the best in art and design. What better place to start than the Palace of Westminster, that venerable Cradle of Democracy and the meeting place for both Houses of Parliament. There are guided tours and you could attend one of the debates. The Churchill War Rooms and museum, below Westminster, are an evocative place to visit. They are a potent reminder of Winston Churchill’s leadership during the dark days of World War Two. Westminster Abbey is one of London’s most magnificent Gothic churches. First initiated by Henry III in 1245, the Abbey just oozes history. Join one of the regular tours and hold on for a captivating journey. The Temple Church, near Fleet Street, has over eight centuries of history behind it, from the Crusaders in the 12th century through the upheavals of the Reformation to its starring role in Dan Brown’s the Da Vinci Code. 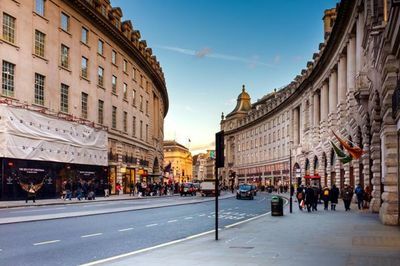 To help with all your historical research into the city’s buildings and monuments, be sure to take a look at a comprehensive London travel guide before you plan your trip. When it’s time to find things to help you wind down, London does not disappoint, as the city has some of the best parks and gardens in the world. Hyde Park may be London’s biggest surprise, with 350 acres of beautiful parkland and ornamental gardens. There’s a host of things to do, including swimming in the lake, playing tennis or horse riding, before enjoying a meal in one of the lakeside restaurants. Richmond Park offers something completely different. In a peaceful setting of hills and woodlands, it’s an ideal place just to wander, admire the plants and flowers and enjoy the fresh air.